Forbes is InspiredMinds Official Media Partner: The Inspired Minds team has long admired Forbes for their cutting-edge journalism and ability to get straight to the heart of the issues they cover, so we’re thrilled to also have them on board, as well as being appointed one of their official contributors! We’ve launched a dedicated C-Suite Channel at World Summit AI: Bringing together the tech industries’ C-level, to create the frameworks needed for AI, to deliver on its promise for a better world. This closed-door, boardroom style session is expected to be very popular and places are limited, please contact us if you are interested. In celebration of all these fab new additions, we’re giving everyone that books their place for World Summit AI 2019 this week 50% off tickets. The sale will end at midnight sharp this Sunday, so don’t delay and book your place now – the event will sell out again this year. 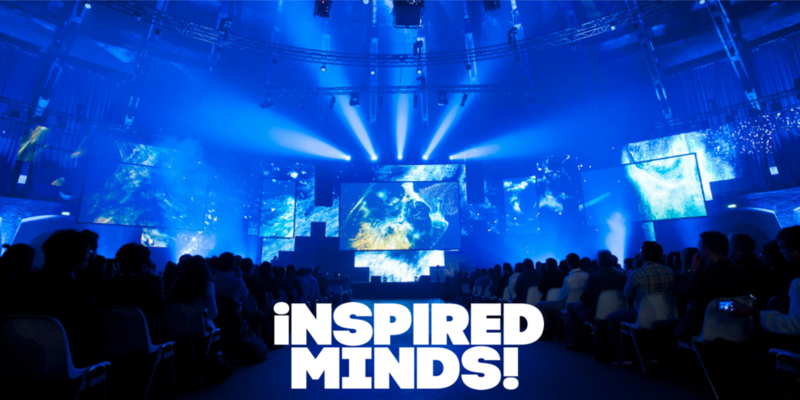 Inspired Minds has proudly built the world’s largest and most active AI community of over 40,000 members from 161 countries worldwide. Nowhere else will you get to hear from the entire AI ecosystem. Last year’s World Summit AI programme featured Apple, Facebook, Amazon, Alibaba, Tencent, Google, Intel, NASA, Uber, IBM Watson and many more, and this year is going to be even better. Make sure you are signed up to the World Summit AI mailing list to be the first to receive the latest news, AI articles, reports and ticket sales.